We all need insurance from time to time, and in the case of fried eggs, the insurance we usually seek is that the whites are 100% fully cooked with not even a chance of a squiggly raw bit lurking somewhere the heat just didn't quite reach. Making good on that requires flipping the egg to cook the second side, all while leaving the yolk nice and wet. In egg lingo, that's over-easy. Flipping the eggs for just 5 to 10 seconds ensures that the whites are fully cooked on both sides. 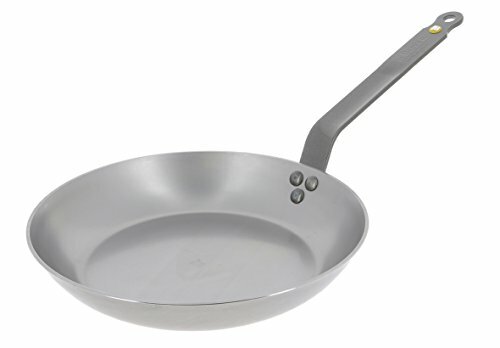 Heat butter in a cast iron, carbon steel, or nonstick skillet over medium heat until lightly foaming, tilting pan to evenly distribute the melted butter. Carefully break eggs into the skillet, season with salt, and cook until the whites are nearly set on top and the yolks are still runny, about 2 minutes. Using a flexible spatula, gently flip the eggs one at a time, season with salt, and let cook another 5 to 10 seconds. Transfer to a plate, season with pepper if desired, and serve immediately.